Lyndon Johnson was the 36th President of the US from 1963 to 1969 – one of the most turbulent and influential periods in American politics. 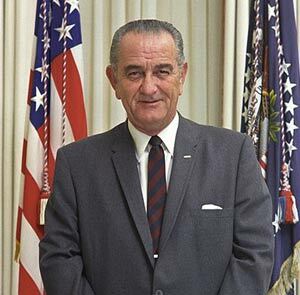 Lyndon Johnson helped to implement the ‘Great Society’ reforms – extending welfare support and implementing civil rights legislation. He also presided over the escalation of American involvement in the Vietnam War which proved increasingly controversial. Johnson was born on August 27, 1908, in central Texas. Growing up in the Great Depression, he gained a first-hand perspective on poverty, and the Great Society reforms he later implemented were an attempt to make this kind of poverty a thing of the past. In the 1959 election, he stood as Vice President to the youthful John F Kennedy. The idea was that the Protestant, southern Johnson would make a dream ticket to accompany the northern Catholic liberal, John F. Kennedy. In 1959, one of the tightest ever elections, JFK-Johnson were elected, defeating Richard Nixon. The three years of the Kennedy presidency proved turbulent, with the Cuban Missile Crisis and the Cold War dominating foreign policy. America also started to become involved in aiding the South Vietnamese against their northern Communist enemies. In 1963, JFK was assassinated, while visiting Dallas, Texas – Johnson’s home state. Shortly after, Johnson was sworn in as Vice President and addressed a shocked nation. But the war was increasingly escalated, and the casualties mounted. The conflict also became increasingly unpopular and costly to the American people. By 1968, there were widespread protests and civil disobedience in protest at the war. 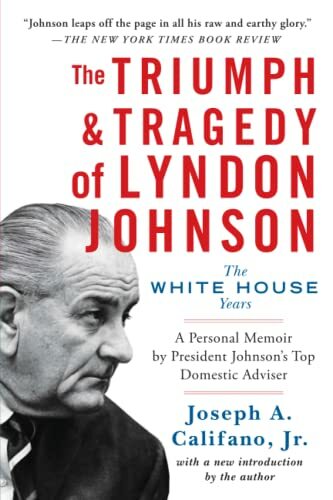 On a domestic front, Johnson was able to pass more legislation through Congress as part of his Great Society reforms. This included extended welfare support for poorer Americans. For example, millions of elderly people benefited through the 1965 Medicare amendment to the Social Security Act. Johnson also enacted civil rights legislation to protect in law, equal rights independent of a person’s ethnic group. In 1965, he introduced the Voting Rights Act. However, the new legislation often didn’t change the situation on the ground, and there were growing civil rights protests at continued racial discrimination. Martin Luther King led non-violent protests, though increasingly others, such as Malcolm X wanted more radical action. Lyndon Johnson shocked American by not standing for re-election in the 1968 election. He died of a heart attack in 1973. Citation: Pettinger, Tejvan “Lyndon Johnson Biography”, Oxford, www.biographyonline.net, 11th Jan 2011. Famous Americans – Great Americans from the Founding Fathers to modern civil rights activists. Including presidents, authors, musicians, entrepreneurs and businesspeople. Biography of JFK President until November 1963.